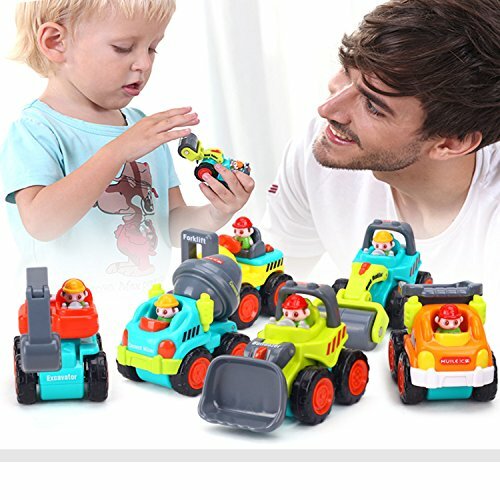 An amazing funny time to playing a different role to drive different car with friends for kids.The perfect way to interact with children too. 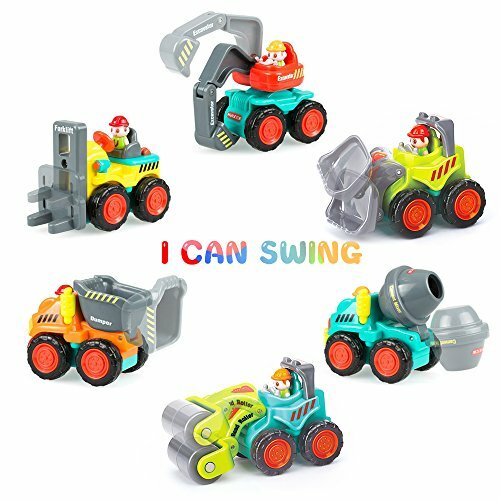 Mini colorful construction Vehicles Set is made of safe plastic.No batteries needed.Just simply pull the car then let it go and watch it ccelerates across the floor.And most joint parts of the car can be rotation,it can bring more pleasure!Let the baby learn mechanical automation principle.Perfect to stimulate baby’s curiosity,enhance practical abilities. 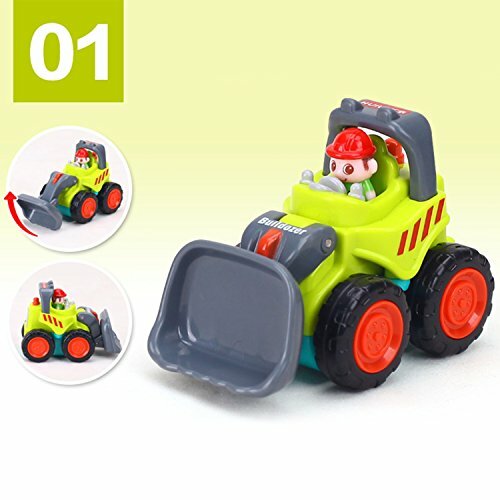 Great for collection,birthday gift and home decoration for 1 2 3 years old boys girls toddlers! 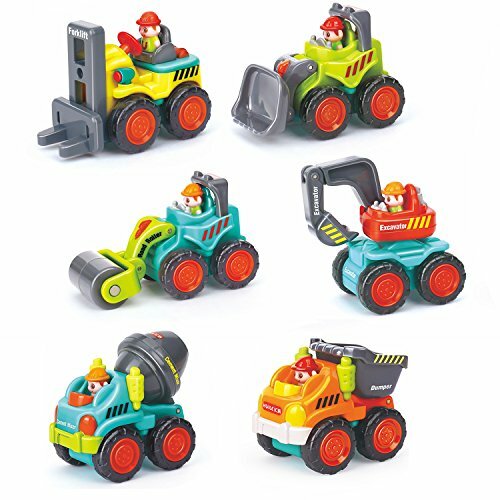 Look!Mini construction Vehicles team begin to work!Lifting,Hauling and Moving! ✌ Up to safety standard EN71.No sharp corners or any small parts which would cause a choking hazard.It can be ensured sturdy enough,100% safe and healthy. WARRANTY:6 MONTHS WARRANTY AND 90 DAYS MONEY BACK TROUBLE-FREE GUARANTEE! 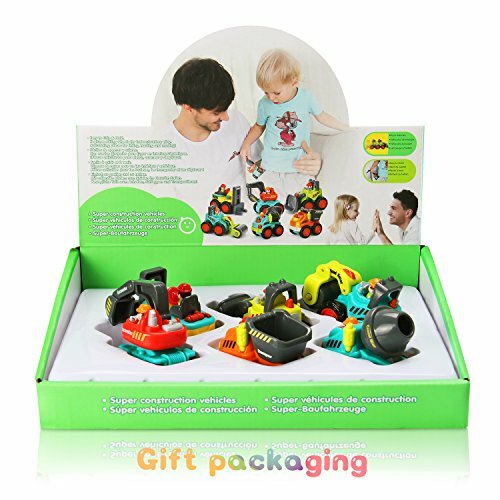 ✅POWERFUL INERTIA-Pushing the car backwards or forward slightly by hands,then releasing it,the inertia will carried the car slide forward easily for a long distance.Powerful inertia technology activates car wheels moving continuously.No Battery Required!Perfect to stimulate baby’s curiosity,enhance practical abilities. 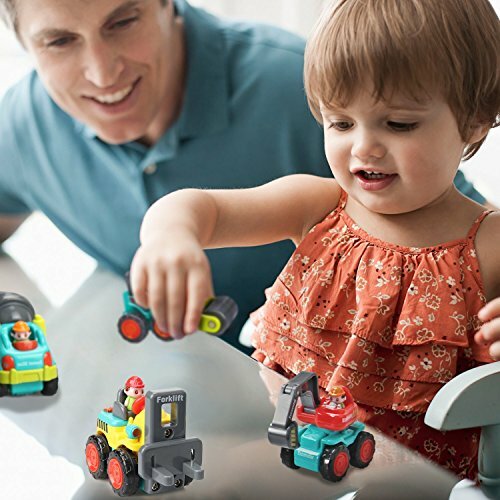 ✅SAFE AND DURABLE-Eco-friendly material plastic,safe and non-toxic,100% meets the standard of toy safety standard.Rounded edges make these trucks easy to hold.These cars underwent an ultimate strength test.Never be afraid that the friction car toys would be broken even Children smash them to the floor or wall,which could guarantee the friction cars with a lifetime use. 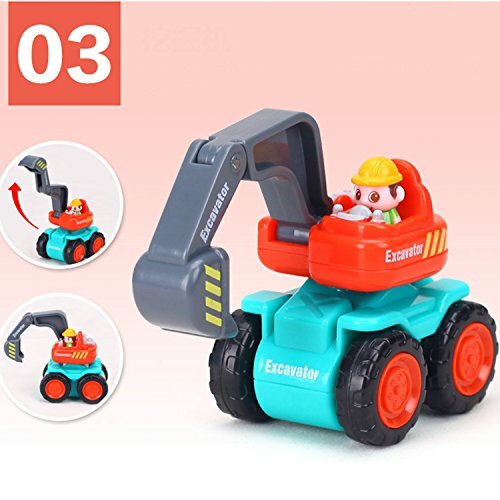 ✅SMALL,EASY TO CARRY-Mini construction vehicles are easy to grip & hold.Designed for little kids’hands,small enough to put in a pocket to carry along and play anywhere!Whether it’s in the playroom or the sandbox.Playing with various shapes pocket car toys can improve babies’hand-eye coordination,observation ability,identification and cognitive ability,develop their imaginations. ✅PERFECT WARRANTY-6 MONTHS WARRANTY AND 90 DAYS MONEY BACK TROUBLE-FREE GUARANTEE!If you have any issue with your item,do not hesitate to contact us – your satisfaction is paramount!